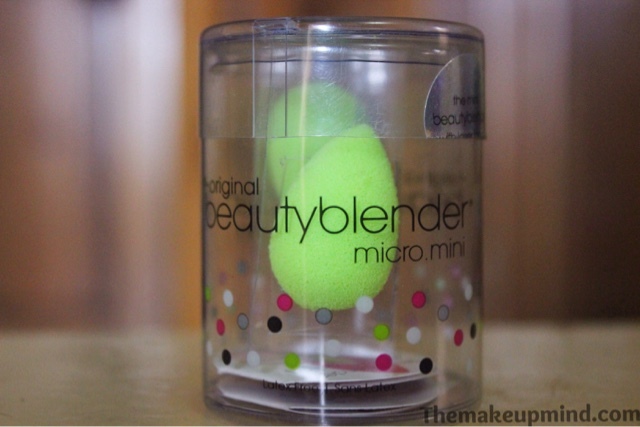 I bought the beauty blender micro mini out of sheer curiosity. I've heard mixed reviews about this but I just wanted to see and have it for myself! 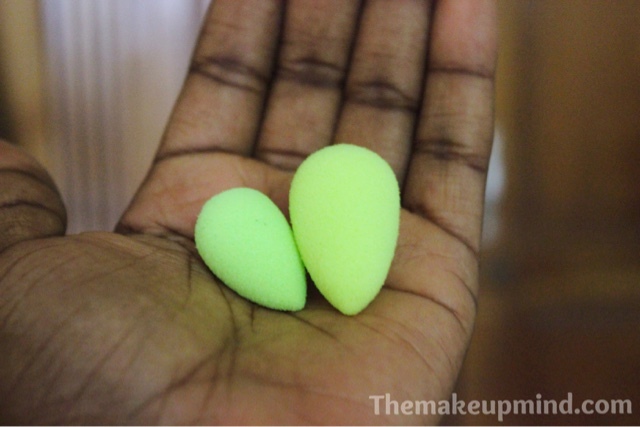 I previously reviewed the normal Beauty blender on my blog and you can read it --->HERE. This is not a review but just to find out if it is worth buying or not. 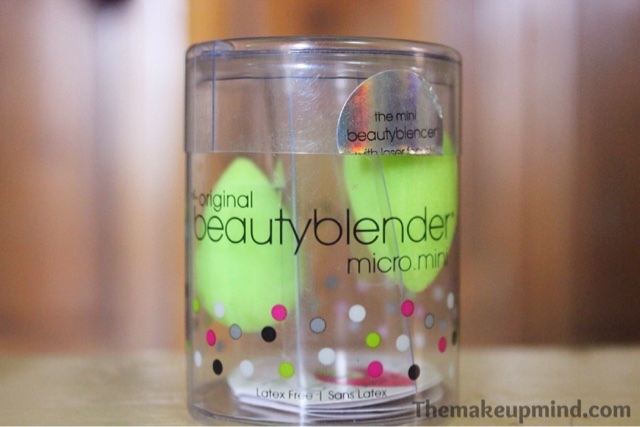 The packaging of the BB mini is the same as the normal beauty blender. The colour is a neon green which I think is very beautiful and attractive. This sponge is very very tiny and can easily be misplaced so one needs to keep it safe. The photo above shows the normal size of the BB micro mini and one that has been soaked and squeezed just like we're supposed to do before using it. The photo above is a size comparison between the normal BB and the BB micro mini. Pretty sure you can tell how small it is now. 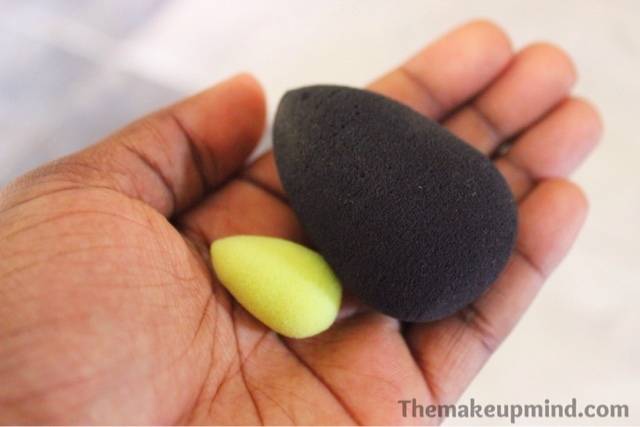 The work of this new BB sponge is that it's perfect for highlighting and contouring. It's also good for blending makeup in hard to read areas like under the eyes. 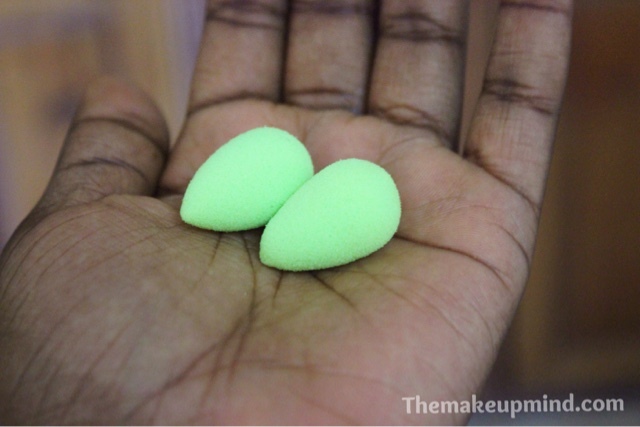 A major downside to this product is that it is about the same price with the normal sized beauty blenders which I think isn't right because of the size of the thing. If you have big hands and fingers, you might find it hard to use. I mainly use this for blending concealer under my eyes and blending my nose contour. Is it necessary to buy? No it's not. It's an addition to your makeup kit but I don't think everyday girls actually need this unless you're as obsessed with makeup as I am. 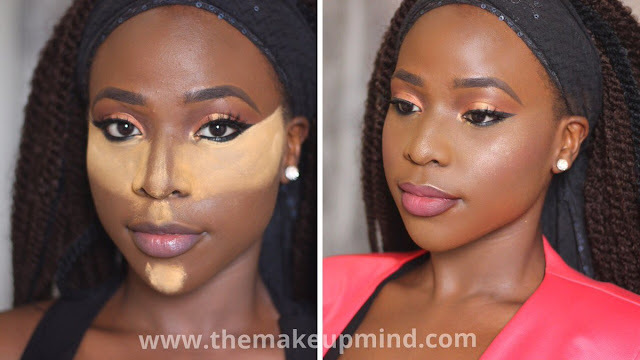 It would also take forever to use this to apply foundation all over your face! I definitely don't regret buying this product but you're not missing out on anything special if you don't have this. i would never consider buying it..Just too small for my hands.